Everyone has a specific opinion on what they feel is the most important and essential item to go into their bug out bag. While everyone has their preferences, we wish to make it known that the opinion posted in this article are this author’s personal opinions through experience, trial, and error and does not reflect or predict the experience of others. We wish to educate and provide an example of use and function based upon these experiences. Bugging out is really the last-ditch resort. It doesn’t happen when things are good and improving but happens when someone is worried about themselves or their family’s survival. No matter what, or how much, an individual take with them it will never feel like they have everything that needed. Regardless, of the feeling of necessity, there are some things that are non-negotiable when survival is on the line. It is my opinion, that the more uses a single item has the more valuable it is to you in the field. Some of these items may have a usefulness that can overlap with another item you carry but the primary focus of an item should not be the same. The one rule: “One is None and Two is One” really does apply when you need to lighten your load to the bare minimum. Just because someone carries something for an intended purpose doesn’t mean it will serve that purpose alone but can occasionally fulfill the “Two is One” rule. Multi-tools, like a Leatherman, are a great example of this. Trying to saw a tree with a small Multi-tool is near impossible but trying to make a precision cut with a 21” bow saw is just as unimaginable. There is another side to this struggle when something serves multiple purposes and it doesn’t do anything well. Having a great pair of scissors does not automatically make them great knives even if they can be used as a knife and calling it a Multi-tool is a gross misjudgment even if it has been marketed as a great Multi-tool. Likewise, having a parka may keep the rain off your back but may not be the best option for shelter when SHTF. Multi-use: how much it is capable of. Mobility: easy to carry, pack, or wear. Weight: how heavy it is. Necessity: if you really need it in a survival situation. One of the most valuable assets anyone can have is water storage. Humans need water to survive but after 3 days in the wilderness, many will have run out of water carried in. Drinking straight from a stream or brook is a dangerous prospect as animals may have died in the stream, there may be animal and/or human waste, or pollutants could be present and not evident. Canteens are a wonderful option to carry water and have been proven throughout time. The first canteens were made from old animal bladders called ‘Waterskin’. What better way to hold in a liquid than something meant to… well… hold in liquid? As gross as it may sound these bladders had a long life and would be able to hold an ample amount, depending what animal it came from. Generally made from sheep, bovine, or deer bladders they are still extensively used and can be made in a desperate survival situation. However, in a survival situation, the possibility of finding, hunting, and killing an animal of that size are limited and you still need a way to clean the animal bladders and filter the water it contains to kill parasites or microorganisms. While Life-Straws and other various compact filtration devices allow you to drink straight from the source they do not allow you to carry potable water with you. Many packs, backpacks, and rucksacks are specifically designed to accommodate a water bladder. Some of these water bladders can handle purification tablets in contact with the plastics or may allow in-line filters to attach to the water hose/drinking tube. Very few bladders have options like this. In comes Geigerrig and Aquamira. Aquamira has developed a water hydration system that has surpassed most survivalist’s expectations. The plastic used in their water bladders is tough enough to be cleaned in the dishwasher, light enough to weigh only a few ounces when empty, has in-line attachments, is BPA and PVC free, and employs a pressurization system that will fill the bladder with air allowing the water to come out without having to share or even use a mouthpiece. The in-line filters can remove general pollutants and micro-organisms like a Life Straw. Aquamira also offers a Virus Filter which removes nearly all pollutants and infectious organisms. To top it off the bladders come in a varied range of sizes from 1.5L to 3.0L which will easily fit into Geigerrig backpacks. Each Geigerrig backpack comes with a hydration pack to fit and Geigerrig offers a lifetime warranty on manufacturer defects of their packs while Aquamira offers lifetime warranties for leaks on their bladders. My personal choice, for a bug out bag or emergency bag, is the Geigerrig 1600 Tactical. 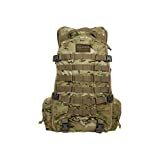 Combining the tactical capabilities of a pack designed to be used with MOLLE accessories and civilian fitness applications it is a perfect merger of function and purpose. Combining the use of a backpack, water filter, and potable water storage. Without compromising durability and mobility it allows for use as a regular backpack or as a tactical pack combining a waist belt and chest compression strap. 5 lbs empty it is light enough to carry for long periods of time without taxing the wearer and still large enough to contain necessary gear. The most important aspects of a Bug Out Bag are answered in a pack like this. It combines the most vital human need, water, with the ability to carry anything else needed for a campsite, Bug Out location, or long period of trekking. As the weather gets colder, the nights get longer, and the wind blows harder a blanket is another essential and necessary tool to keep with you. Everyone knows that keeping a blanket in the trunk of a car during the winter months is a smart and effective way to protect a stranded or broken down driver from frostbite. In a Bug Out Bag, it functions exactly the same. What kind of blanket is the best and most efficient for use in a bug out bag and how can it be used in more than one way? In a Bug Out Bag, it functions exactly the same. What kind of blanket is the best and most efficient for use in a bug out bag and how can it be used in more than one way? I personally prefer wool blankets for a multitude of reasons. While wool does have serious downsides, it has some impressive upsides. Some of the most obvious downsides are cost and weight. Even the smallest blankets can be as heavy as 5 lbs and that isn’t to be taken…. Lightly. While makers like Hudson Bay, Sutherfelt, and Faribault may have high quality also have a high price tag. There are many alternatives that may not have as high a quality but will get the job done well. Wool itself is a great, natural insulator. It is easily renewable, insulates better than nearly any man-made material, doesn’t burn, and continues to insulate even when wet. When being found in an inhospitable environment those become major positives compared to other available products. Take a moment to think about this. You are in the woods, it is raining hard and you need to warm up around a fire. As you surround yourself with your cotton blanket it begins to get heavier and heavier as the water soaks through. The heat from the fire can’t keep the moisture away from your skin so you move closer and closer. The embers from the fire begin to burn small holes in the cotton allowing the water to pour in. You no longer have a blanket for survival but a blanket for tinder. While it may react a little differently to embers or water the same could be said about fleece, down, woolies, or various other materials. Each one may contain materials that will melt or significantly reduce insulating properties when wet. During the middle ages, many clothes were also used as blankets. Overcoats would be pinned to the body using a penannular brooch or other means, adding an extra layer that could be removed if needed. One of the best, modern examples would be the Scottish Greatcloak. Historically made of wool these cloaks acted as clothing, blankets, beds, packs, and water filters. They shielded the wearer from the harsh winds of the highlands and still managed to show off those fancy legs. In a pinch, wool blankets can carry your belongings. If your backpack or rucksack rips you aren’t stranded in that area or trying to hold all your gear in your hands. Placing all gear items into the center of the blanket, rolling the blanket around the gear, and tying the ends off still, allows you to keep your gear and blanket safe and secure. Revolutionary and Civil War soldiers consistently did this when they lost their packs, needed to carry additional items, or needed something to use as a sling. Sheep’s merino wool and Alpaca are easy to come by wool types. They have a range of quality and some of the best wool blankets can be very expensive. 100% wool is also difficult to find as fine, high-quality fibers are difficult to hold together in a blanket. They will use other materials to hold the fibers together which also can succumb to the negative effects of the environment. Finding a blanket made with 100% virgin, unused wool is becoming increasingly difficult but these types of blankets offer a lof of protection without much to compare them with. We recommend the Rothco 90/10 Wool blanket. It is relatively low cost, tight weave, and decent weight. Many outdoorsmen use them as blankets, cloaks, even raingear! Alpaca Warehouse providing a mix of Alpaca and Merino wool in a slightly looser weave with a very comfortable feel and a multitude of size options. Hudson Bay is famous around Wool Blanket Collectors and outdoor enthusiasts. They have some of the longest histories in America and provide exceptional quality in several different sizes. Wool blankets can serve many purposes as a blanket, pack, tourniquet, tarp, overcoat, camouflage, stretcher, and can assist in filtering water. Easy to wear, roll up, or pack inside a bag the wool blanket can easily be transported. It can vary greatly depending on the quality, materials, and manufacturer. There is always a possibility of finding a wool blanket in the weight you need. While there are other alternatives a number of uses a wool blanket can provide puts in at the top of my gear list. Not many people think of a Shemagh as a necessary item for a Bug Out Bag. While it can function similarly in many ways to a wool blanket, a shemagh has some capabilities unique to itself. Shemaghs became popular in the United States, Australia, and British with soldiers while overseas in Afghanistan and Iraq. 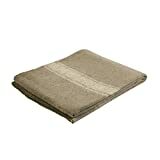 It is commonly used in desert areas for protection from dust, sun, and camouflage. They have a myriad of names like the keffiyeh, ghutrah, hattah, mashdah, chafiyeh, and cemedani. While they are commonly used in the middle east they have their uses in other parts of the world and are gaining serious popularity with the western world for fashion, solidarity, and actual survival uses. Lawrence of Arabia is one of the most famous westerners to be associated with a keffiyeh. In survival and bug out situations Shemaghs are so versatile. Wearing it in its traditional form allows the wearer to use it as camouflage, protection from the elements, or even to stay warm. Most Shemaghs are made of cotton and can easily provide enough shavings for kindling to start a fire and while it is commonly used as a piece of clothing it can also have first aid applications as a tourniquet and arm sling. Similar to a blanket, a Shemagh is large enough to be used as a bag to carry items, gear, and goods in a desperate situation. This past fall I took my Shemagh with me when I went apple picking. While I received a lot of odd looks, when I rolled out the Shemagh I tied each end to my belt loops and packed it full of apples. I was able to climb trees, obtain delicious apples, and walk around without having to carry a large, heavy basket around. Rothco makes a great Shemagh in various colors. They have made some designs specifically for U.S. and Allied military forces to be used overseas. Shemaghs can serve many purposes as blanket, pack, tourniquet, tarp, head cap, dust filter, tinder, handkerchief, camouflage, and can assist in filtering water. Usually only 42” on all sides allows it to be easily packed, rolled, and carried. Weighing as much as a large Handkerchief it doesn’t weigh you down and can easily be accommodated in the tightest packed Bug Out Bags. Many other items can fulfill the uses that a Shemagh does but no item can fulfill them all the same way a Shemagh can. Knives, by far, are the most commonly used and needed item. For centuries men and women have carried knives made from stone, obsidian, copper, iron, steel, ceramics, and other various metals. Many tasks in the wild or during a Bug Out situation can be only be fulfilled with a knife or sharp blade, like skinning. Many survivalists learn to make objects with knives and stick to assist in cooking, building shelters, cooking food, making tinder, self-defense, crafting tables and chairs, hunting, fishing, and limitless other possibilities. Being efficient with a knife is a skill that many survivalists spend years trying to perfect and bettering their skill never ends. That’s why a quality knife is important. No, steel manufacturers don’t work with NASA to make a fruity drink but they do have different standards to how they fix the blade to the handle. Tangs can range from full tang, half tang, partial tang, push tang, or rat tail tang. Stainless Steel prevents rust better than other steel materials because they contain a percentage of Chromium. While it does avoid rust better it is also softer making it easier to sharper but also to dull. There are many types of stainless steel and takes a lot of research to find the one best suited for each individual user. High Carbon Steel is very strong but brittle. This type of steel will hold an edge for an excellent amount of time but when it does need sharpening it can be very difficult to do so and prone to chipping. It does rust quickly compared to stainless steel but with constant use and care any High Carbon Steel Knife will last longer than a lifetime. The tang can sometimes dictate the overall strength and durability of a knife. Full tang knives integrate the steel connected to the blade through the entire handle. It is argued to be the strongest style knife. Many, but not all, lower quality knives use a push tang or half tang. This uses less material, makes the knife lighter, and can be manufactured faster. Rat Tail tang is not recommended for a survival knife as they can be prone to significant breakage and puts unnecessary stress on the handle. 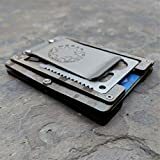 Each person has their own preference of blade tang but it is generally understood that full tang is the recommended knife choice for survival situations but many knife producers use other tangs and make a high quality knife that can stand up to the same stresses as a full tang and all at a reduced weight. Rat Tail tang is not recommended for a survival knife as they can be prone to significant breakage and puts unnecessary stress on the handle. Each person has their own preference of blade tang but it is generally understood that full tang is the recommended knife choice for survival situations but many knife producers use other tangs and make a high quality knife that can stand up to the same stresses as a full tang and all at a reduced weight. Rat Tail tang is not recommended for a survival knife as they can be prone to significant breakage and puts unnecessary stress on the handle. Each person has their own preference of blade tang but it is generally understood that full tang is the recommended knife choice for survival situations but many knife producers use other tangs and make a high-quality knife that can stand up to the same stresses as a full tang and all at a reduced weight. Morakniv is known to make some of the best knives on the market. They sometimes come off as looking like a toy but you can be assured that these knives can handle a lot of stress and pressure. Morakniv makes many tang styles with a great reputation. Benchmade Bushcrafter Knife comes from one of the most renowned knife production companies. Their quality and manufacturing standard is hardly ever surpassed and quality is guaranteed with any knife they produce. The Schrade SCHF36 knife is a great High Carbon Full Tang knife on a Budget. It is extremely thick at ¼” to last a lifetime of sharpening. The SCHD36 comes standard with a sharpening stone and firesteel. Knives are used in all survival situations for field dressing game, cutting sticks and logs, creating shelters, and cooking. Most knives are packed on the belt while others can be strapped to a thigh, arm, or backpack. Generally, knives do not weigh a lot but can become fairly heavy if thick or long enough. There is no doubt that a knife is a necessity in any Bug Out Bag. Following the rule of One is None Two is One we take a look into an Axe. While a saw would be a better option when looking at long term use a saw is harder to find and fit replacement blades but an Axe or hatchet will last a lifetime. Native Americans used hatchets for more than just cutting but also for trading, fighting, and hammering. While a knife can fulfill many of the same needs of an axe or hatchet they can not fulfill the entire need of taking down a tree. Axes and hatchets follow similar rules to knives in terms of material. Usually recommended to be High Carbon Steel, axes and hatches should retain an edge for a long period of time and do not require as much care and attention as a knife. Axes and hatchets can also remain useful for a longer period of time as the edge does not need to be razor sharp. While the latter is highly debatable every woodsman and survivalist can make use of a slightly dulled axe or hatchet in a safe and effective manner. One of the greatest debates with axes and hatchets are the handle material. Purists believe that a wooden handle is the best material for many reasons but mostly because it can easily be replaced. While they might be right many polymer handles add a lot of strength and reduce the overall weight. Since we are looking at traveling light we feel that these polymer handled Axes and Hatchets are a comparable alternative. Fiskars is well known for their products and produce many knives and hatchets for Gerber. They test their materials and durability in many ways. Fiskars has produced many outdoor gardening tools for a very long time. While many people complain that the original edges of their axes and hatchets chip easily the under layers of steel produce a high-quality edge that retains itself very well under high use. The X7 is incredibly lightweight at 1.4 lbs and can swing with the best of them while the hefty X15 comes in at 3.45 lbs. While many people complain that the original edges of their axes and hatchets chip easily the under layers of steel produce a high-quality edge that retains itself very well under high use. The X7 is incredibly lightweight at 1.4 lbs and can swing with the best of them while the hefty X15 comes in at 3.45 lbs. Snow and Nealley produces a Hudson’s Bay Camp Axe which weighs in at 1 lbs 12 oz. It is slightly shorter than traditional Axes but allows for versatile use and easy packability. Axes and Hatchets serve one main purpose, to cut. What it cuts and how well it does it is strictly at the skill of the user. From skinning, cutting lumber, and self defense an Axe and Hatchet really are indispensable tools. While Hatchets are generally carried on a belt by a sheath Axes are a little more difficult to carry and must be carried in hand or attached to a pack. They require some heft in order to chop into wood but hatchets will weigh significantly less than axes in more situations. There are some very lightweight options but lightweight does not mean better as more effort is needed to make an efficient chop. Knives can fulfill much of the necessity of a sharp tool but they have their limits. Axes and Hatchets pick up where a knife fails by providing the brawn to fell trees and can even replace knives in some actions leaving the blade of a knife sharpener for a longer time. 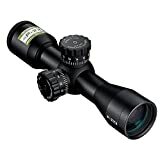 These tools are considered some of the essentials in any Bug Out Bag and while some may trade off certain objects for another each item listed serves a very important purpose and has multitudes of different uses. 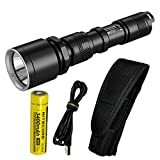 The goal is not to lighten the load as much as possible but to get the most amount of efficient use out of the gear available and these items show how valuable they can be in a survival or Bug Out situation. We love to hear about what others feel is the most important part of their Bug Out Bag. For some, it is their mess kit, fishing supplies, firearms, food, fuel, tarp, or something else. We are eager and excited to learn about your opinion and preferences. Please, tell is in the comment below about what you feel is the more important non-negotiable item in your Bug Out Bag.